The father of the man identified as the gunman in the Florida mass killings says he is "extremely" upset over the incident. The gunman killed 49 people early Sunday at a nightclub in Orlando, Florida. Over 50 others were wounded. Seddique Mateen says he has no idea why his son, Omar Mateen, carried out such an attack "during the Muslim holy month of Ramadan." "I do not know what caused this," the father said. "I did not know he had hatred in his heart." Seddique Mateen lives in Florida. He calls himself the revolutionary president of Afghanistan. He has been communicating with the Afghan people through video messages on his Facebook account. Mateen has appointed a "cabinet" for his revolutionary government. He also has been releasing "orders" and "policy" statements on his Facebook page. Mateen placed a message on Facebook hours before his son attacked the gay nightclub. In it, he spoke to those he called, "the revolutionary people of Afghanistan." He said they have the ability to arrest the Afghan president, the Afghan national security adviser and Zalmay Khalilzad, the former U.S. Ambassador to Afghanistan. 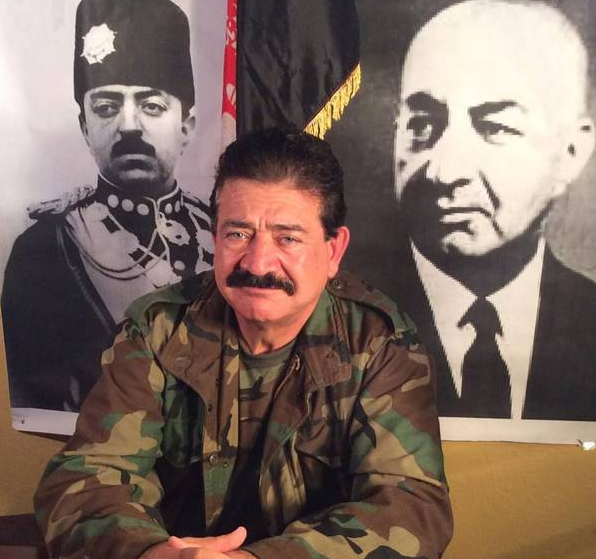 In his video messages, Seddique Mateen is critical of the government of Afghan President Ashraf Ghani. He said that his revolutionary government will help Afghans get rid of the war and corruption and will guarantee a "prosperous" Afghanistan. In a video message Saturday, Mateen criticized individuals inside the Afghan government who he said are plotting against the Afghan people. He accused the national security adviser, Mohammad Hanif Atmar, of helping the Islamic State group. In addition, he accused former President Hamid Karzai of leading the plans and activities of the "Iran and Pakistan-backed" Taliban. Mateen traveled to Mexico in early June and sent messages to Afghans from a cruise ship. Before leaving, he said he was on an "official" trip. A VOA reporter spoke with an individual who did not want to be identified. The person said Seddique Mateen launched an organization called "Durand Line Jirga" for political and financial purposes. Mateen organized a gathering of Afghans a few years ago in Northern Virginia. A number of people objected because he "pursued his own political agenda," one person not wishing to be identified told VOA. "He wanted to establish contacts with U.S. officials and congressmen," the person said. Mateen spoke to NBC News about his son's actions. "This has nothing to do with religion," he said. "We are saying we are apologizing for the whole incident. We are not aware of any action he is taking." He added that his son was "enraged" when he saw two men kissing a few months ago in Miami. Afghan President Ghani and Chief Executive Abdullah Abdullah have strongly condemned the Orlando nightclub attack. "Targeting civilians is not justifiable under any circumstances whatsoever," Ghani said. Abdullah said, "Terrorism and terrorists, as foes of human being(s), are not representing any faith, religion, ethnicity (or) race." In additionbuffets, American families enjoy picnics and barbeques. The men were imprisoned for plotting against the government. He was aware of the possibility of a recurrence of his illness. I was on the point of communicating with him by paper. 1.Seddique Mateen says he has no idea why his son, Omar Mateen, carried out such an attack "during the Muslim holy month of Ramadan." 2.He said that his revolutionary government will help Afghans get rid of the war and corruption and will guarantee a "prosperous" Afghanistan. I have rather a bad cough that I can't get rid of. He hoped in this way to get rid of the troublesome prisoner.